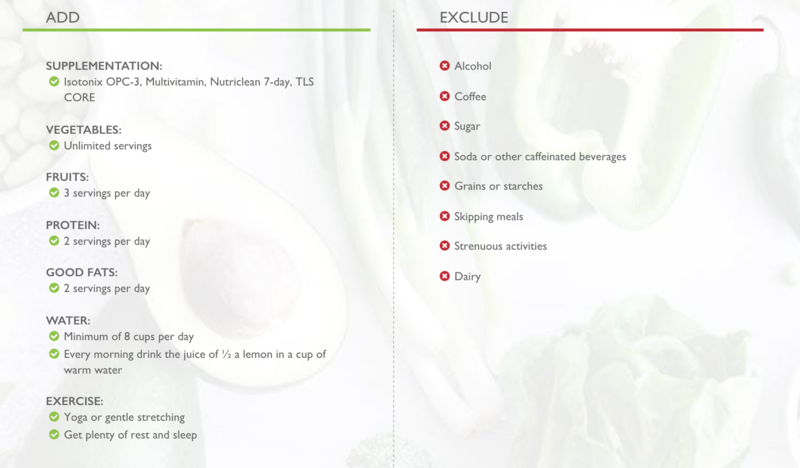 The TLS 21 day challenge is one of our customers’ favorite TLS® programs to kickstart their weight loss journey and get familiar with the benefits of a TLS® lifestyle! Thinking you could commit to 21 days to kick your unhealthy habits, but not sure whether this is the right program for you? 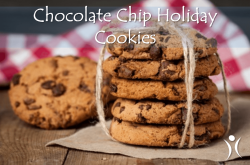 Find out by checking out what you’ll be eating during your TLS® 21-Day Challenge! First things first – the first phase, or cleanse phase, is the first part of your 21-day commitment. For the first week, you’ll fill your plate with fruits and veggies while focusing on rest (read: no insane exercise routine!) and hydration. 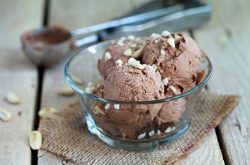 This first step will curb cravings for sweet, fatty and salty foods so you can enter the second phase without unhealthy cravings holding you back. Each morning, you’ll be starting off with Isotonix® vitamins – the most efficient vitamins on the market – along with your nutriClean Detox kit and a glass of warm lemon water. With Isotonix® Multivitamin and OPC-3® on an empty stomach, you’ll be providing your body with powerful antioxidants and a solid nutrient foundation. Next, you’ll grab your nutriClean Fiber Powder and 2 Release Tablets to begin the detox process for the day and wash it down with a glass of warm lemon water! With plenty of health benefits that come with lemon water such as helping with cravings and helping flush your body’s toxins out, this is such a great routine to get your morning going. Next, it is time to eat. No starving here! Although this program is grain and dairy free, there’s no reason to think that means you won’t be eating delicious, filling meals! Each day, you’ll eat 3 main meals along with 2 snacks (a third is optional) that include water and a quick bite of fruits + veggies. In Phase 1, you’re going to back off on the protein a bit (don’t worry – we increase this in phase 2) and stick with 2-3 ounces, but you can fill your plate with unlimited vegetables! veggie goal and provide some much-needed fiber, nutrients, and phytonutrients! 8 oz. water, 1 cup celery, 1 Tbsp. peanut butter. Now, you’re going to want to hit at least 12 cups of vegetables per day. Think that’s a lot? Try measuring out one cup of broccoli, spinach, or even zoodles and you’ll realize that a cup is far, far less than you think it is! Think of it this way: if you have a salad with lunch, you’ll probably be logging 4 cups of greens without adding the carrots, tomatoes, cucumbers or other veggies you like! Don’t forget your two daily servings of good fats. These are super important for helping fuel your body as you cleanse and keep you feeling satisfied for longer. Think guac, avocado, and fatty fishes! The only sugars you’ll get during this 21-Day Challenge is from fruits and, during Phase 1, you can eat 3 fruits per day. Just try not to eat them all at once! You can download the full meal plan here if you want to see more! Now that your body is a clean slate, we’ve moved on from the nutriClean Detox to your Fat Burning Phase! Here, you’ll switch from your nutriClean DEtox supplements to your TLS® CORE, Isotonix®, and add in the delicious TLS® Nutrition Shakes! As we move onto the Fat-Burning Phase, you will increase your protein as we’re adding exercise back into your routine! Women should get 4-6 ounces with breakfast, lunch, and dinner. Men should aim for 6-8 ounces with each. With the increase in protein, you’ll be cutting back to You will decrease your fruits to one per day. But, don’t worry – you can split 1 fruit into 2 servings to have half a fruit with your morning snack and the other with your night or midday snack! Speaking of snacks, you’ll finally get to enjoy 2 scoops of either the Chocolate Delight or Creamy Vanilla TLS® Nutrition Shakes with both of your snacks! Although the shakes are simply delicious on their own, you can mix any flavor extract into yours for an added variety. My favorite is the chocolate delight with a little pure mint extract, but I also like my shakes thick! Since we are only making shakes with water in during the Challenge (no nut milks or milks), I add a bunch of ice cubes! These shakes mix easily with just water and your shaker bottle that comes in your kit, but you can blend them too! Throw a handful of spinach in your shake and blend! Trust me, other than changing the color a little, you won’t even know there’s spinach in it!! Don’t forget you’re going to start adding exercise back in, too! Although each person may be able to perform different levels and duration of exercise, it is always recommended to consult with your healthcare provider before starting any exercise regimen. Not sure where to begin? Try starting with 2 or 3 brisk walks and a short strength training session! There’s plenty of exercise videos online and your local gym might have a fun class to help get you started. 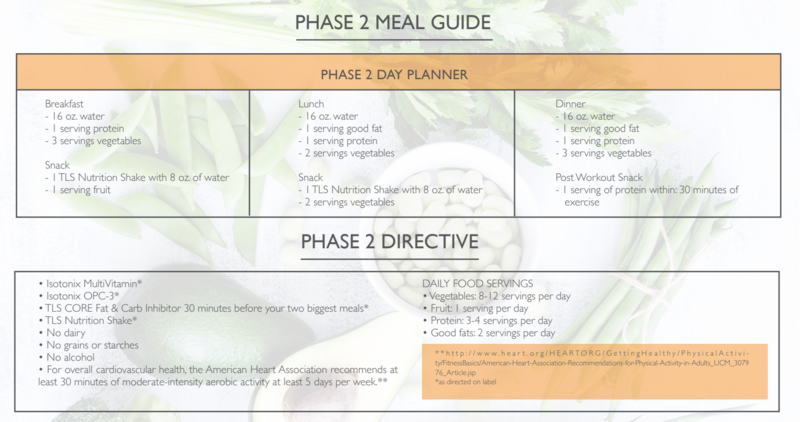 Download the full Phase 2 meal plan here! The best thing about the 21-Day Challenge is that this is your challenge! Can you challenge yourself to stay focused and committed for 21 days, so just focus on those 3 weeks. I believe you can achieve anything you set your mind to! What questions can we answer for you on the TLS® 21-Day Challenge? Find more and order your kit here!